Date and time: Tuesday, 24 Jan, 7 p.m.
We welcome you to join Svitlana's lecture followed by open discussion, Q/A session about current Ukrainian Affairs. We will open doors at 6 pm by presenting brand new term card of events of Oxford University Ukrainian Society and welcoming new members of society. You will have a chance to meet nice people who are passionate about Ukraine. Svitlana Zalishchuk has been a Member of the Verkhovna Rada since October 2014. 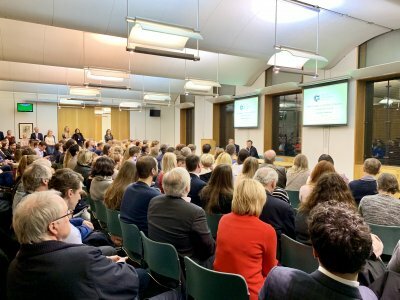 She is Co-Chair of All-Party Parliamentary Group on the United Kingdom, member of the Foreign Affairs Committee and Head of the Sub-Committee on European and Euro-Atlantic Relations. Svitlana was an active leader of the EuroMaidan movement in 2013. Her organization, Centre UA, coordinated the biggest Facebook Page (Euromaidan) in Ukrainian history, which played a critical role in the Revolution of Dignity. Svitlana is a member of the “DemAlliance” political party. Svitlana is also a fighter for human rights and is a big supporter of anti-discrimination legislation, especially rights for LGBT. "Debaltseve" is the narrative of the Donbas war. 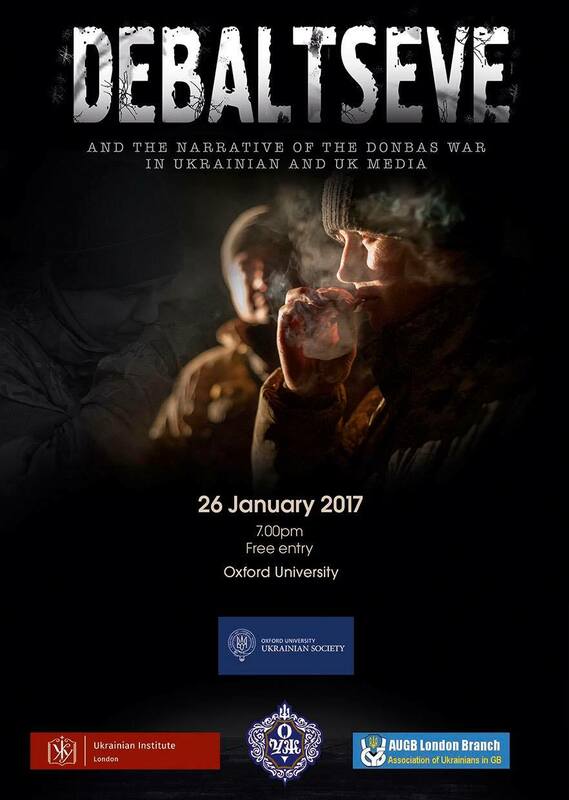 The event will include a film screening (50min), followed by a discussion with a Ukrainian war correspondent and film director Eugene Stepanenko. Eugene Stepanenko is a War Correspondent, Presenter, TV channel UA: First, Kyiv, Ukraine. Eugene Stepanenko, a Ukrainian war correspondent and TV presenter, brings to London a documentary telling a dramatic story of the battle for Debaltsevo, a key transport hub in the war-town east of Ukraine. In February 2015, it witnessed a tense stand-off between Ukrainian on one hand, and Russian troops and the local militia allied with them, on the other. Being virtually encircled and facing massive artillery fire and a tank-guided offensive, Ukrainians were forced to withdraw in order to prevent a massive loss of life. The discussion will debate the film, look at the coverage of the war in media, how the narrative of this war has evolved and is impacted by Russia's concerted effort to obscure the the presence of its troops on the Ukrainian soil and the challenges to keep this conflict on the agenda of the global media. Come and practice your Russian or Ukrainian language by talking to us. Please be aware that for attending Ukrainian lunches you need to purchase membership. 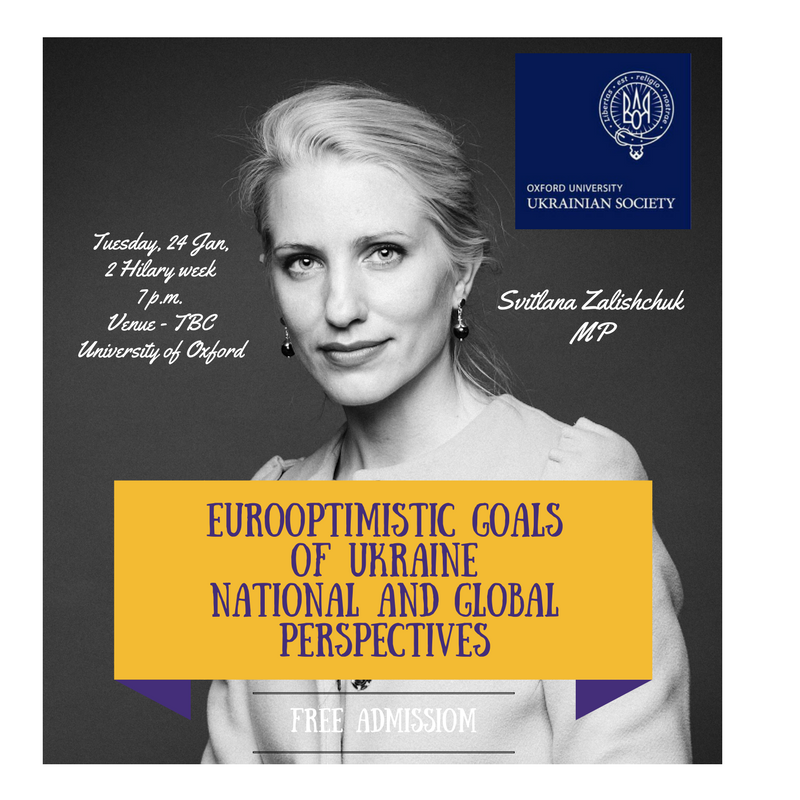 To express your interest – please contact president@ukrainianoxford.org or write us on Facebook. Join Oxford University Ukrainian Society right now to join Ukrainian lunches and get one free lunch! Date and Time: 19 Feb 2017, 5 p.m.
On the 3rd anniversary of Ukraine's deadly protests, the Oxford University Ukrainian Society invites you to join the talk with Mustafa Nayyem, MP, journalist and public figure who sparked the Revolution of Dignity. 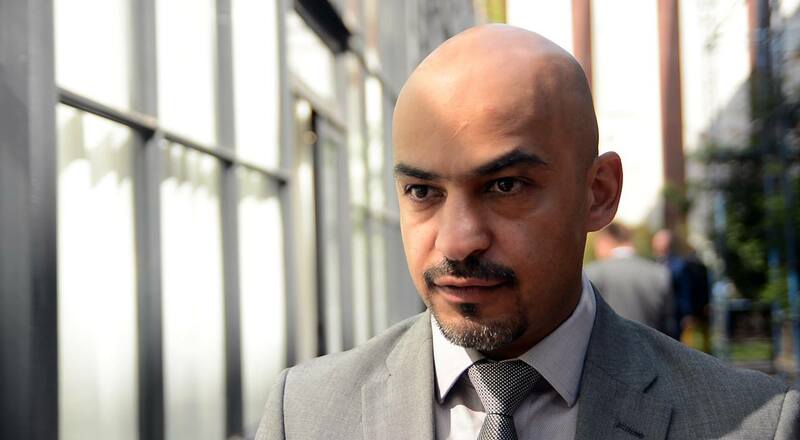 A Ukrainian journalist of Afghan origin, Nayyem was one of the leaders of the anti-censorship movement and one the founders of Hromadske TV, the channel that became popular for live streamimg the Euromaidan protests. Without Nayyem, there might have been no Revolution. After then president Viktor Yanukovych “paused” preparations for signing an association agreement with the EU, the journalist turned to Facebook. “Let’s meet at 10:30 p.m. near the monument to independence in the middle of Maidan,” he posted, and thousands of Ukrainians flooded the streets. Three months later, Yanukovich fled the country. Nayyem is one of the Euromaidan activists who went from barricades to government offices in hope of turning post-revolutionary Ukraine into a prosperous European state. In October 2014 he was elected to the Ukrainian parliament. In August 2016 he joined the (political party) Democratic Alliance. The event is dedicated to the memory of the Heavenly Hundred Heroes who died for Ukraine during the Euromaidan protests in February 2014. The film is a 2015 documentary about the Euromaidan protests in Ukraine, a coproduction of Ukraine, the United States, and the United Kingdom. Produced in part by Netflix, it played at various film festivals before its release on October 9, 2015 on the online streaming service. Was nominated for Documentary for Oscars 2016. A project to discover and help Ukrainian children learning foreign languages. GoGlobal is the initiative that promotes foreign languages learning in Ukraine and to promote 2017 as a Year of English Language in Ukraine. The project launch took place last summer, with 120 volunteers from 40 countries taking part. The project now moves to the new stage to involve 100 000 children in school camps all over Ukraine. The initiative will break into four streams - Steam, Citizenship, Career and Leadership, Sports and Health. The organisers aspire to cover around 800 Ukrainian schools and attract 1000 international volunteers to Ukraine.